Seanan McGuire posted the cover for the new Toby Daye book, “Late Eclipses” (out March 2011). It’s not as pretty as the cover for “An Artificial Night”, but it’s more Toby, somehow. And I love the titles for this series. Sarah Rees Brennan blogged about her experience on the Smart Chicks Kick It author tour. Hilarious. And Renee attended one of the signings and is having a giveaway (ending Tuesday 28 Sept). I also loved Sarah Rees Brennan’s interview at Wondrous Reads, when she talked about a whole lot of things, including how she met Holly Black, her covers, and what she’s currently working on. 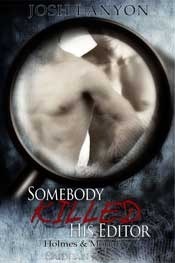 Lois McMaster Bujold posted about a cover that literally made me wince. DAW has previous form in this area – remember this one? What makes it worse is that I want to get this book – “Love & Rockets”, a romance-SF anthology out this December. Sigh. Okay, I can’t quite remember how I stumbled upon this link, but it’s a writing post about how to hook readers with the first chapter. And it’s not exactly relevant to me and I only clicked through to the linked first chapter of the post’s author out of curiosity – and wow, talk about a first chapter. Beth Revis’ debut YA “Across the Universe” (out Spring 2011) is now firmly on my radar. Diana Peterfreund has written a book adaptation of the film “Morning Glory” (film released Nov, book out Oct 19). I’ve never particularly cared for book adaptations (or film adaptations, come to that), but I am very interested in this one. And Jennie’s back! Jennie’s B[ook]log was one of the first blogs I started reading way back when – and she introduced me to Eva Ibbotson, for which I will always be grateful. I’ve been horribly remiss at not mentioning The Book Smugglers’ YA Appreciation Month previously, but hey, I’m guessing you all know about it already (and if not, there is still a week to go!). Anyway, today, they have invited all and sundry to join the party – if you’ve a YA-related post, just go over to their site and add your link. I don’t really blog a lot about YA (you could argue I don’t blog a lot, full stop), but YA makes up a good proportion of my reading diet. Megan Whalen Turner (warning: reviews on her website have spoilers for the previous books) has created an incredible series. I think fans of The Thief may be hitting critical mass – certainly I have noticed more and more mentions of these books in the blogosphere recently. Ana did a fantastic spoiler-free review of the series and pretty much echoed my thoughts. How could you not be excited about a book with those keywords? This is very definitely a standout series, YA or otherwise (and expect a separate post coming up!). I adore Sharon Shinn’s writing. No matter what she writes. And she has a trick of closing her books with the most magical lines ever. Her Samaria and Twelve Houses series get quite a few mentions (and they sit on my keepers shelf), but I don’t hear a lot about this standalone YA of hers. “Summers at Castle Auburn” is one of my favourite Shinns, a perfect coming-of-age story. It is very much a comfort read for me, and it never fails to satisfy. Here’s a review from Jennie – seeing that she read it on my rec, I’m really glad she enjoyed it! 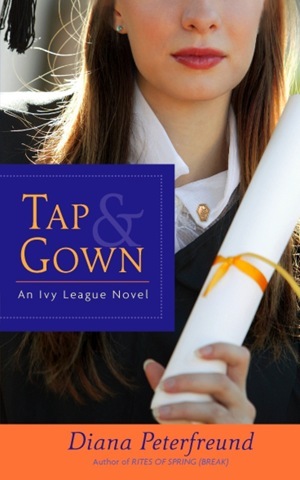 Call it fate, call it intuition, or just call it common sense, but somehow young Alanna knows she isn’t meant to become some proper lady cloistered in a convent. Instead, she wants to be a great warrior maiden–a female knight. But in the land of Tortall, women aren’t allowed to train as warriors. So Alanna finds a way to switch places with her twin, Thom, and take his place as a knight in training at the palace of King Roald. Disguising herself as a boy, Alanna begins her training as a page in the royal court. Soon, she is garnering the admiration of all around her, including the crown prince, with her strong work ethic and her thirst for knowledge. But all the while, she is haunted by the recurring vision of a black stone city that emanates evil… somehow she knows it is her fate to purge that place of its wickedness. But how will she find it? And can she fulfill her destiny while keeping her gender a secret? Tamora Pierce has written many books since her first Alanna series, but the Alanna books are the ones I always end up re-reading (and there are some scenes that always end up with me sniffling, even though I know exactly what is going to happen). Angie included Alanna in her recent post on “Stubborn Girls (and Why I Love Them)” and I have to agree whole-heartedly. Interestingly, all these three are straight fantasy – something that I wasn’t actively thinking about when I was thinking about the YA books I wanted to highlight. All three are also pretty much coming-of-age stories, which is much less of a rarity in the YA genre. I could have chosen many other YA books – LM Montgomery’s Emily trilogy is amongst my all-time favourites, I was addicted to LJ Smith’s books, including her “Secret Circle” and “Dark Visions” trilogies, I buy Eoin Colfer’s Artemis Fowl books as soon as they hit the shelf, and I’m on a mission to complete my Eva Ibbotson collection… however, I think I’ll stop here and head off to check out everyone else’s YA posts! In my January-March wrap up, I forgot to mention the major book-related event in January – I got my Sony Reader. And Catherine Asaro’s “The Ruby Dice” was the first ebook I read on it. It’s funny how that sticks in my mind. I think the first 50 or so pages, my main thoughts were “Wow, I can actually read books on this thing” and “I hope I don’t break it”. And then it became a non-issue and I forgot I was reading an ebook. So yes, love love love my Sony Reader. Karen Chance’s “Embrace the Night” (UF) was one of my Top Five releases of 2008, with the other standout read being Eva Ibbotson’s “A Company of Swans” (YA romance, or at least it’s shelved in the YA section). I’ve adored all the Ibbotson novels I’ve read to date, and this was no exception. Lyrical writing, beautiful settings and characters she makes you care about. I also read the fifth book in Elizabeth Peters’ Vicky Bliss series “Night Train to Memphis” (mystery). Ahh… John Smythe. While I still love Amelia Peabody more, I totally understood why Vicky fans were jumping with joy at the prospect of a new VB book coming out later in the year. Three other books I really liked were Lois McMaster Bujold’s “Passages” (fantasy, Book 3 of the Sharing Knife series), Barbara Michaels’ “Patriot’s Dream” (mystery), and Ann Aguirre’s “Grimspace” (SF romance). The Barbara Michaels was unusual because it had two linked stories set in different timelines, one during the American Revolution and the other in contemporary times – while I loved the history focus, I didn’t think they intertwined with each other very well. Two author gloms during this month, the first being Diana Peterfreund’s Secret Society Girl series, which I’ve already mentioned ad nauseum. So I will restrain myself here. Though does it qualify as a official glom if there were only two books in the author’s backlist at the time of said glom? The second author was Mary Stewart (romantic suspense) and this definitely qualifies as a proper glom with me reading six Stewarts in May alone. I finally decided to find out why so many bloggers love her novels, and gosh, I fell hard. “Nine Coaches Waiting” became my favourite Stewart, until displaced by “The Ivy Tree” a month later. I’m so fickle. Anyway, between these two authors, I didn’t read much else during May – oh, I really liked Ilona Andrews’ “Magic Burns” (UF, Book 2 in the Kate Daniels series). Which quite surprised me (in a good way! ), because I hadn’t loved the first book in this series. But I enjoyed MB, and can’t wait for the third. I’m glad I like these books because – and this is going to sound really shallow – I like the covers for this series. Heh. And in June, I read a lot. 20 books in total – I’m not sure where I found the time actually. Especially seeing Wimbledon was on at the same time. Oh yeah, I remember now, it was a rather quiet time at work. How things change. I continued reading Mary Stewart’s backlist, five books this month including the aforementioned “The Ivy Tree”. So good. Even though I cheated and skipped ahead to the ending. I know. Curiosity killed the cat and all that. Other standouts: Jacqueline Carey’s “Kushiel’s Mercy” (fantasy, Book 3 in the Imriel trilogy), a perfect ending to Imriel’s story. I’m not quite sure how to describe it, but all I have to do it to read the opening lines of her books, and the way she writes, the cadence of her sentences, they instantly draw me into her world. 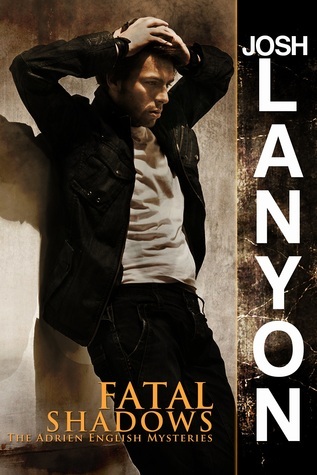 And I discovered Josh Lanyon’s Adrien English books (mystery / m/m romance) – he’s one of the best new-to-me writers I came across this year. I love his writing and he has me totally invested in Adrien and Jake’s relationship. So in the first half of the year, I read 83 books altogether. It doesn’t feel like it, but I appear to have had more A reads during the first half of the year compared to the second. I think November and December were good reading months for me, and the more recent reads are sticking in my mind. If you’re a Paddington Bear fan, the Times also had an interview with the author, Michael Bond, with an extract from the new book. I was never that into Paddington (think I only read the first one way back when) but it’s a amusing extract. Moving on, here’s an interview with Lois McMaster Bujold at the Star Tribune newspaper website – it’s interesting reading. She also provides a summary of the universes for her different books. Finally, if you loved Eloisa James‘ “An Affair Before Christmas” (which I did), here’s a bonus chapter on her website (you have to register to read, but it’s free and quick). I’m loving her Desperate Duchesses series and can’t wait for “Duchess by Night” to come out. I’ve been rather quiet here lately, but that’s because I’ve been reading lots, so it’s all good! I finished Lois McMaster Bujold‘s “Passages” almost in one go (note to self: do not start reading LMB’s books at 11pm at night). I really liked this one. I think part of the charm is that it is just so readable – it’s effortless reading. In a way, it’s different from the previous two because it’s not as romance-focused. The first book in this series, “Beguilement”, was more about Fawn and Dag falling in love in the farmer world, while the second one, “Legacy”, focused on acceptance of their relationship by the Lakewalker community. In “Passages”, it’s not that there’s less time spent with Dag and Fawn – it’s more that there’s less focus on their relationship as a couple. They still take centre-stage, but I think that there’s more time spent with their relationships with everyone else in the story. Also, it’s a more light-hearted humorous story compared with “Legacy” – there were a couple of scenes that made me laugh out loud! All in all, an excellent read – a very very strong B+ for me, it definitely lived up to my expectations. Speaking of books I’ve enjoyed lately, another one I really liked was Eva Ibbotson‘s “A Company of Swans”. When I started the book, I wasn’t sold on the Amazonian setting – not quite sure why, I suppose it’s just not as appealing to me as, say, her Eastern European stories. But as I read on, I just was completely drawn into the story. If you look at the plot objectively, it is a standard romance one – girl runs away from home, meets rich man, falls in love, has misunderstanding, resolves misunderstanding and gets back together. But Ms Ibbotson has a very special gift – she makes what could be a very ordinary story in the hands of another author a completely magical story. You fall in love with the characters and root for them to get back together. You smile, laugh, and sniffle your way through the book. An A for me. 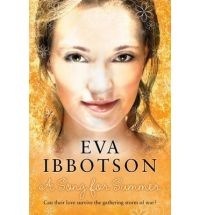 Okay, here’s why I wanted to post pictures – I came across the Eva Ibbotson covers for the US and UK markets. I’ve the UK editions for all except “A Company of Swans” – I loved the US tutu cover, but now I’m thinking the UK one is prettier. And compared to the US “A Song for Summer” cover, the UK one is just plain bland. On the whole though, I think these are all fantastic covers. And speaking of covers, Urban Fantasy Land has the cover art for the next Patricia Briggs Mercy novel “Bone Crossed” (Jan 2009). I can see it standing out on the shelves. ** Patricia Briggs‘ “Blood Bound” (urban fantasy) – The second book in her Mercy series didn’t disappoint. I’ve just finished the third (“Iron Kissed”) and can safely say this is one of my all-time favourite series. It stands out from the hundred and one werewolf urban fantasy series out there. ** Elizabeth Peters‘ “The Falcon at the Portal” and “He Shall Thunder in the Sky” (mystery) – I loved the entire Amelia Peabody series, but these two books are my favourite because of the romance. Rambling series review here. ** Jacqueline Winspear‘s “Maisie Dobbs” (mystery) – Set in 1930s London, this is the first book in her Maisie Dobbs historical mystery series. I love the post-WWI setting and all the period detail – Ms Winspear really brings the era to life. Series review here. ** Jacqueline Carey‘s “Kushiel’s Justice” (dark fantasy) – This is the second book in her Imriel trilogy, but definitely doesn’t suffer from the “middle-child” syndrome. I posted some thoughts about it here, but appear to have spent more space ranting about the spoiler on the copyright page than actually talking about the book. ** JK Rowling‘s “Harry Potter and the Deathly Hallows” (YA fantasy) – Well, this just had to be on my list! I thought it wrapped up the series perfectly. ** Suzanne Brockmann‘s “Force of Nature” and “All Through the Night” (romantic suspense) – I’m a big Jules fan, and I’m glad he finally got his HEA. Apart from that, I thought FoN was classic Brockmann, with a great ending. Review of ATTN here. ** Eva Ibbotson‘s “The Secret Countess” and “The Morning Gift” (YA romance) – Jennie’s review inspired me to buy the former, and I’m so glad I did. It’s the perfect feel-good story. Review of “The Secret Countess” here. “The Morning Gift” is just as good – I don’t think I could pick the one I like better (some initial thoughts on it here). ** Diana Gabaldon‘s “Lord John and the Brotherhood of the Blade” (historical mystery) – She’s one of my favourite authors, and Lord John’s one of her most fascinating characters. I don’t think think anyone else out there writes the way she does. ** Nalini Singh‘s “Caressed by Ice” (paranormal romance) – Third in her Psy-Changeling series, this was the one that wowed me. I don’t think I reviewed it (lazy me! ), but I loved the romance and the world-building. ** Lisa Kleypas‘ “Mine Till Midnight” (historical romance) – Ms Kleypas is a relatively new-to-me author, but now one of my auto-buys. I liked how Cam wasn’t a typical hero and loved his story. ** Sharon Shinn‘s “Reader and Raelynx” (fantasy) – Fourth in her Twelve Houses series. I think I would read anything Ms Shinn writes. Fangirl gush aside – I thought this wrapped up her Twelve Houses series very well… but I’m still hoping for one more. ** Eloisa James‘ “An Affair Before Christmas” (historical romance) – I loved this one. I haven’t yet done a review (am waaaaay behind), but I thought it was better than the first book (“Desperate Duchess”) in this series. Loved the Georgian setting, her writing, the cast of characters… everything about this book really!